I am a breast cancer survivor from Houston. 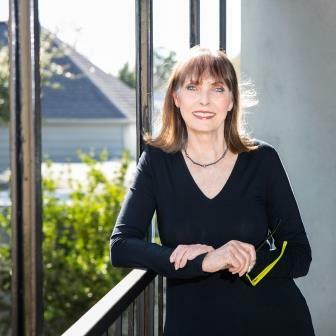 Since I was 58 at the time I was diagnosed I decided not to have reconstructive surgery after my bilateral mastectomy. My husband told me I was “still his beautiful girl and that he was glad that I was still with him.” That convinced me that I was gonna be OK. 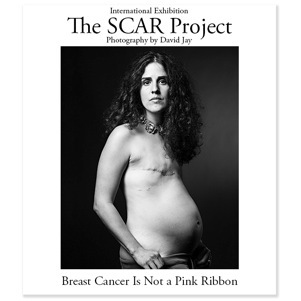 He also saw an article about the Scar Project Exhibit and thought I might want to go. So I plan to be there with my daughter and my box of Kleenex to celebrate the survivors and mourn the warriors that have been taken by this dreadful disease. My best wishes to you. Your husband is a gem, same as mine. Celebrate every moment! Thank you. Best of luck and blessings to you too. I would like to be able to have a car window sign that says your motto “Breast cancer is not a pink ribbon” it has really stuck with me as such a true statement. Thank You David Jay for also bringing AWARENESS to Men with Breast Cancer Men Tooooooo! Get this and must be Aware that this can happen to them also!